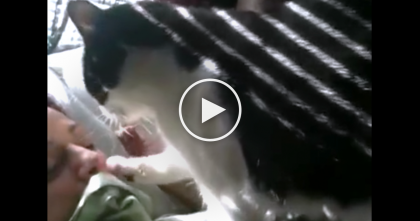 She Sprays Her Cat In The Face, But When You See The Cats Response… Just Too Funny, LOL!! Most kitties drink water from a dish or bowl, or maybe some sort of special pet fountain for those classy cats. But for this strange cat? Nothing more will do than the…spray bottle?! How on earth does this cat like drinking from a spray bottle squirting his face? 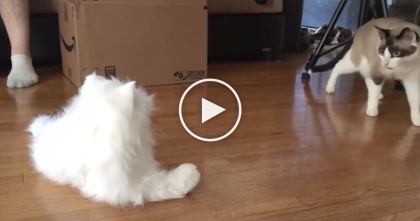 You might not believe this, but for this cute cat, it’s his favorite thing. 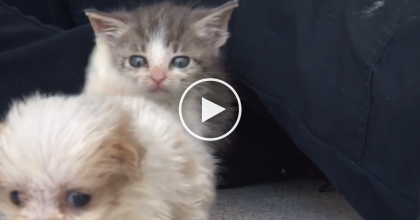 Who knows how his human figured this out, but this kitten will have you laughing and going Awwww!! What a funny kitty, LOL—SHARE this adorable video with friends! This Rescue Kitten Won’t Leave The Dog Alone And They Share An Incredible Bond. 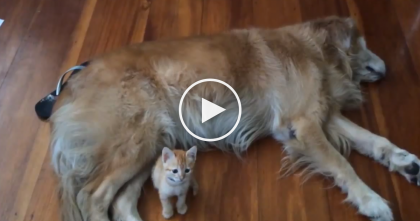 She’s Trying To Sleep, But It’s Impossible… Now Watch And See The Reason Why, TOO Cute! 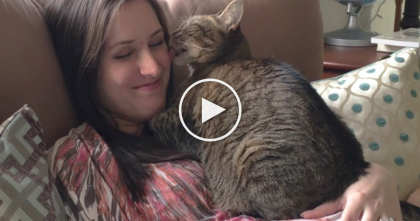 She’s Expecting A Baby, But Keep Watching To See The Cats Reaction… Oh My, It’s SOO Sweet! !